Rheumatoid Arthritis (RA) is defined as an auto-immune condition where the immune system attacks the body’s healthy tissue. Thus, RA symptoms go well beyond painful and stiff joints. But there are a lot of misconceptions surrounding RA since it is not the same for everyone. While one person with RA may experience joint pain, stiffness of joints, etc. someone else might experience skin symptoms along with painful joints. Our contributors time and again share how RA symptoms go beyond painful joints. Here is a compilation of the various articles they’ve written sharing their experience with this unpredictable and mind-boggling condition. In this article, Wren writes about the various comorbid conditions that could impact someone living with RA. Rheumatoid arthritis can impact parts of the body other than joints; there are several skin issues that are related to RA. Nodules are among the most common skin conditions from RA. In this article Andrew explores the cardiovascular implications of RA. People with RA are at an increased risk for cardiovascular diseases. Read this article to learn more about different co-morbid conditions that could raise their heads for people living with RA. These include pleuritis, pulmonary fibrosis, interstitial lung disease and other conditions. In this article, Andrew researches the connection between RA and TMD (temporomandibular disorders). Did you know that people living with RA are at risk for periodontal disease which is an inflammatory condition that can include gum inflammation and eventually damage to tissue and tooth loss? Lisa, one of our contributors, lives with RA and in this article talks about her experience with uevitis and scleritis, eye conditions that can affect people living with RA. 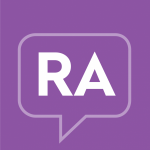 RA is a complex condition with many symptoms and co-morbidities. Because of this, is important to understand the various lesser-known symptoms and conditions associated with chronic inflammation to be equipped to better manage life with RA.